The flag is as it was in 1935. 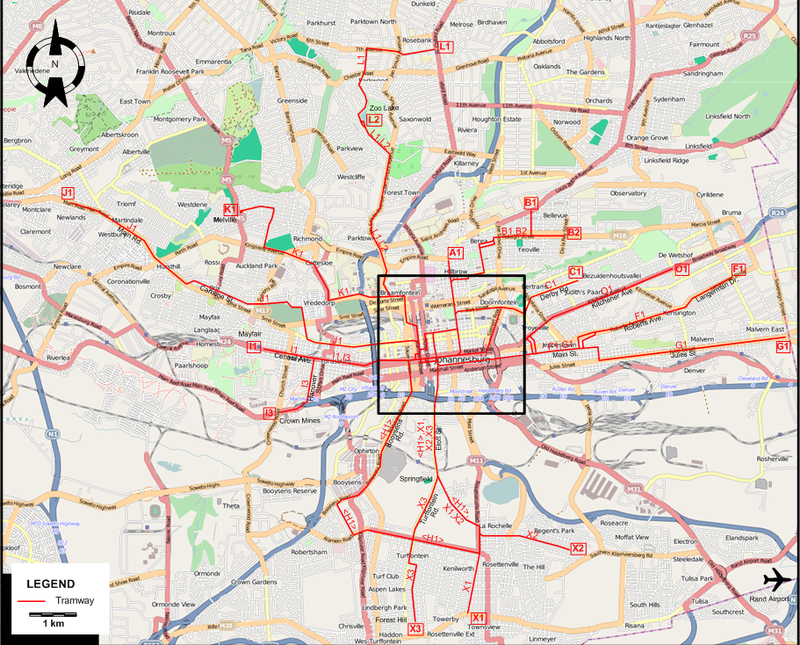 The Johannesburg tramway network after the reintroduction of the route to Crown Mines (during Jan. 1935) and just before the abandonment of the route to Regents Park (on 2 Feb. 1935). Note: The line designations X1, X2 and X3 are for the convenience of readers of this site only. 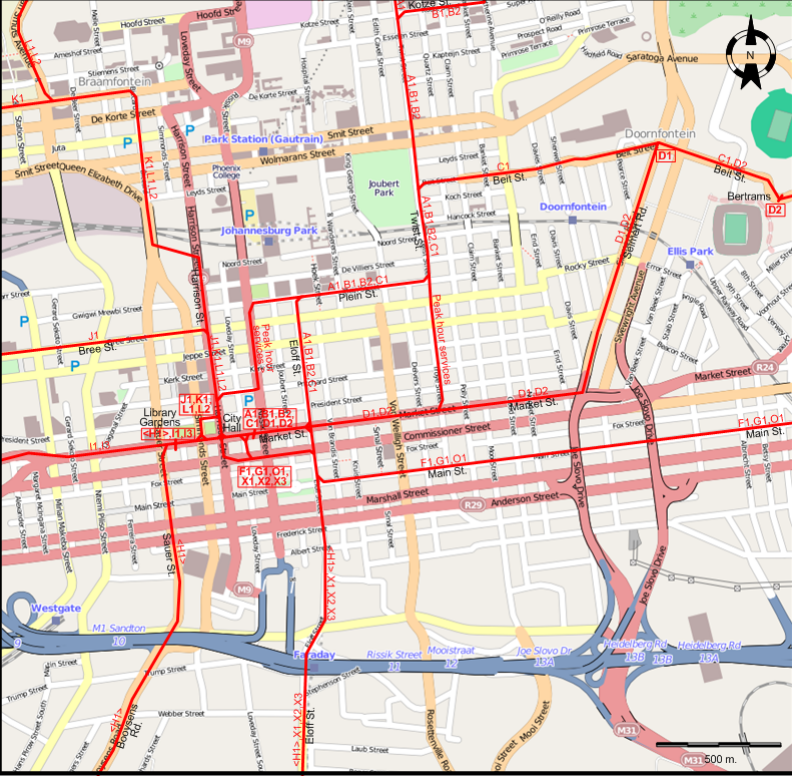 I have not been able to determine the actual line designations used by the Johannesburg Transport Department for these routes. Electric tramways: 14 Feb. 1906 - 18 March 1961. 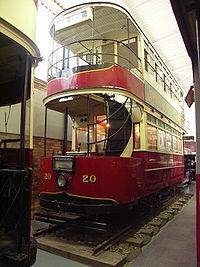 The James Hall Museum of Transport has one preserved double-decker tram in its collection. Spit, T. (with additional material by Patton, B.) Johannesburg tramways. London: Light Railway Transport League, 1976. Williams, D.E. "Johannesburg Municipal Tramways", The Modern Tramway, Feb. 1954 (17:194), p.27-37.